Quality journalism costs money. 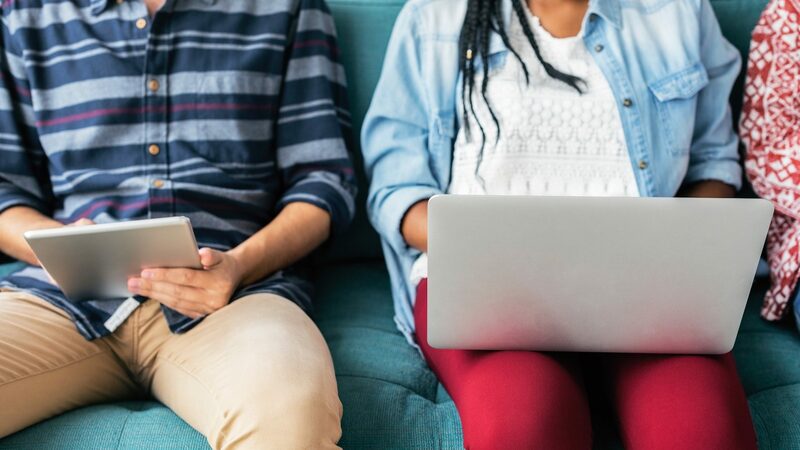 Colleges are helping unlock subscription paywalls for their students. That’s the phrase Kevin Costner’s character keeps hearing in the 1989 movie Field of Dreams. He is trying to build a baseball stadium in the middle of Iowa, convinced that he’s doing something special. It drives him. It fills him with resolve. Until it finally happens. He does build a stadium. And they do come. The movie isn’t particularly memorable, but the phrase continues to resonate, mostly because it has been appropriated by startups searching for a product-market fit, convinced that all they need to do it build the right product and wait, and the market will find them. To the extent that today, ‘If you build it, they will come’ is a cliche that abounds bad LinkedIn motivational posts and “fireside chats” at technology conferences. Paywall journalism is a little different though. The Ken was founded on the idea that quality journalism cannot be free. Quality which comes at a price. And quality that needs to be funded. Our subscribers fund us, which is what enables us to write long-form stories that take a significant amount of time to report, research, fact-check and narrate. This is core to us. 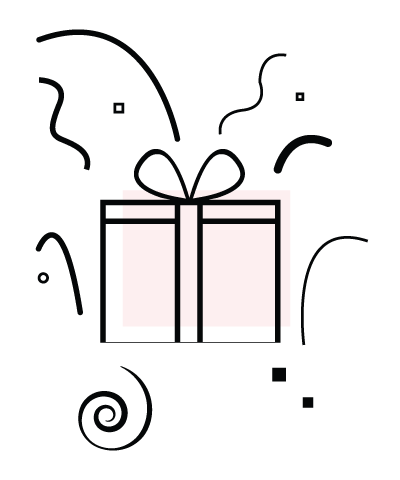 During our first year, retail subscriptions were our sole focus. Users who wanted to read our journalism paid us for it and got full access. Now that we’re in our second year though, we are witnessing and introducing subtle but important nuances to this. Because the users who are paying for our journalism aren’t always the ones who are reading it too. This is true of our corporate subscriptions, which we launched a few weeks back. Companies buy subscriptions so their employees can read us. It’s also true of our Patron subscriptions, where successful entrepreneurs and professionals help fund The Ken for those who need it but probably cannot afford it. To which we’re adding a third category – colleges. 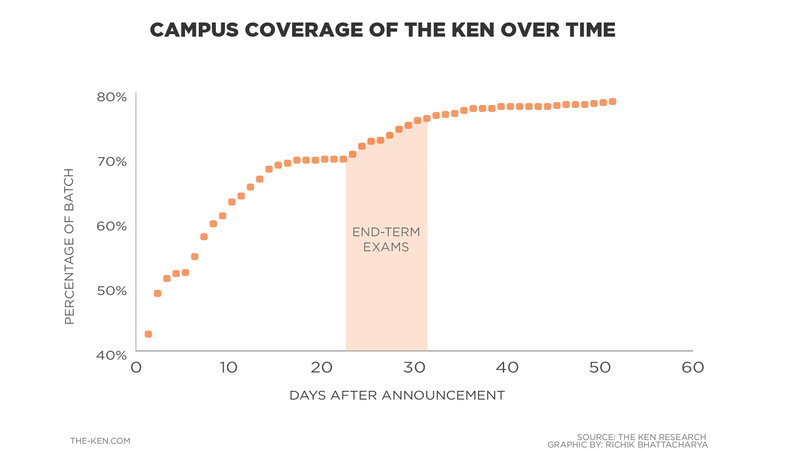 A few world-class business schools, some Indian and some international, reached out to us separately and signed up for The Ken’s campus subscription plan. They are all helping unlock our paywalls for their students, faculty and staff. In all the cases, the colleges had heard about our journalism from their faculty and students, who requested them to enable full-access subscription to The Ken. While some of the colleges purchased IP address-based access, enabling anyone within their campus networks to read our stories without any need to sign up or log in, others one chose to go with email address based signups. Now, premier business schools typically have dozens of academic subscriptions, including several global publications. There is a surfeit of Information. So, would students end up going through the extra hoop of signing up separately to read deeply reported, long form journalism? It’s a good question. The Ken was adopted by nearly 80% of the entire batch at this B-school in just under fifty days. That’s significant. To anyone who is involved in growth and marketing, this curve is unmistakable. It’s the most fundamental and the most sought-after adoption curve. If you have a new product that you are launching, you will kill for something that looks like this. There’s a name for it. It’s called the S-curve. The S-curve is what drives network effects. It’s what happens when people who use something remarkable talk about it. They tell their friends about it, which gets more people in, and because everybody else is on it, you need to be on it too. And the cycle goes into overdrive. All great products get adopted this way. This is likely what happened at this B-school, too. Maybe some students were working on a project, likely in a group. Maybe they were stuck trying to figure out what a company was doing. Likely an Indian company, or a sector. Google probably wasn’t terribly useful. Somebody mentions The Ken in passing. They realise they have a free academic subscription. Boom. They sign-up. There were other interesting insights. For instance, when did students create accounts with The Ken? Was it at times that indicated word-of-mouth at work, or was it random and spiked by external events? This is what that trend looks like, for all the fifty days, by hour of the day. There were two clear spikes : Our morning emails are one. The other, surprisingly was late at night, post midnight, after birthday celebrations. Think about it. It’s a B-school. It’s someone’s birthday everyday. Likely more than one person. Birthdays are a big celebration. An email is sent to the batch. They usually congregate at one place, dunk the birthday people in a pool, and go back to work. In the middle, they chat, they talk to each other, discuss assignments, and somewhere, somebody probably mentions this publication called The Ken. They go back to their rooms, open their laptop and create an account. 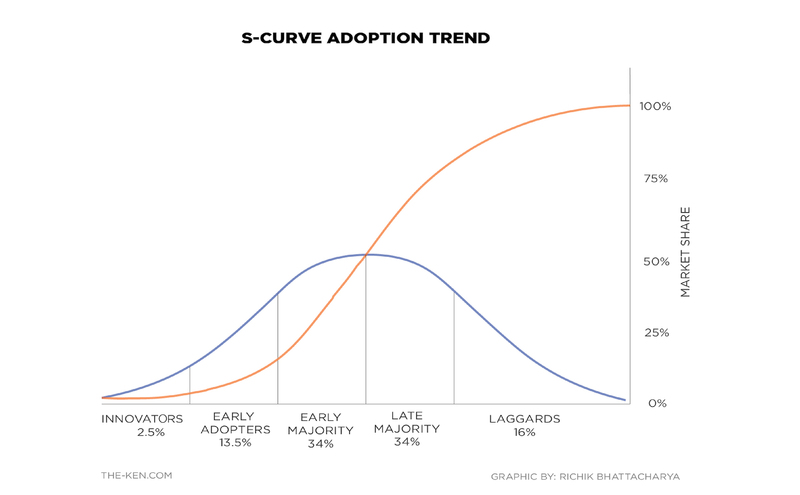 Above all, remember that adoption curve above? Can you see how there’s a sudden surge between days 20 and 28? Something clearly happened at that time that led to a jump in adoption. As curious journalists, we checked with a few “anonymous sources” at the business school, and this was what we found. Students were signing-up to read The Ken because it was supplementing their course material. We were giving them a broader context to their concepts, acting as a source for their assignments, and helping them understand what was going on in the world of business. All told through narrative, deep, data-backed journalism. The institutes unlocked our paywall, and the students broke the door down and came. The power of quality journalism is that it cannot solely inform; it can act as course material. Reading stories that aren’t breaking news but are analytical and filled with insights can educate and provide living, breathing, evolving case-studies for inquisitive students who want to understand what’s happening in the world of technology, startups, healthcare, science and business. In a world where the perception is that millennials don’t read, and that journalism is either dying or sensationalist, this is a powerful, heady shift. Perhaps you are reading this and are a student in a business school, or an engineering college or a member of faculty in an institute of higher learning, and all this must sound incredible. And like a tall claim. It isn’t. This is what is happening in some of the most elite B-schools in the world. It’s possible. All it needs is for someone to unlock it. If you are an institute and would like to sign-up for our campus subscription plan, you can visit our page here and register with us. If you are a student at an institute and are interested in knowing how we can help you get The Ken to your campus, write to us at [email protected]. We’ll do all we can do to help.